I hope to be able to make new friends and gain new experiences from the other stellar athletes competing in the SEA Games. 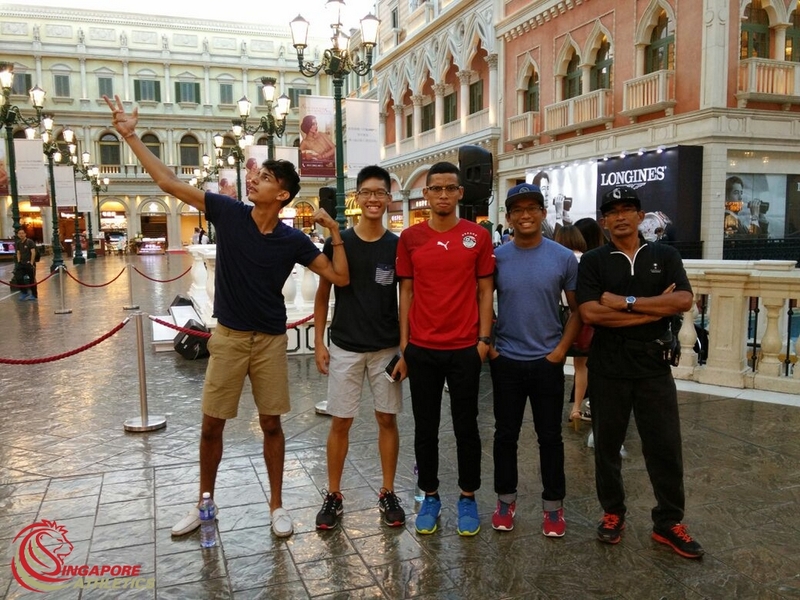 My dream and target is to be able to win a medal at this year’s SEA Games. 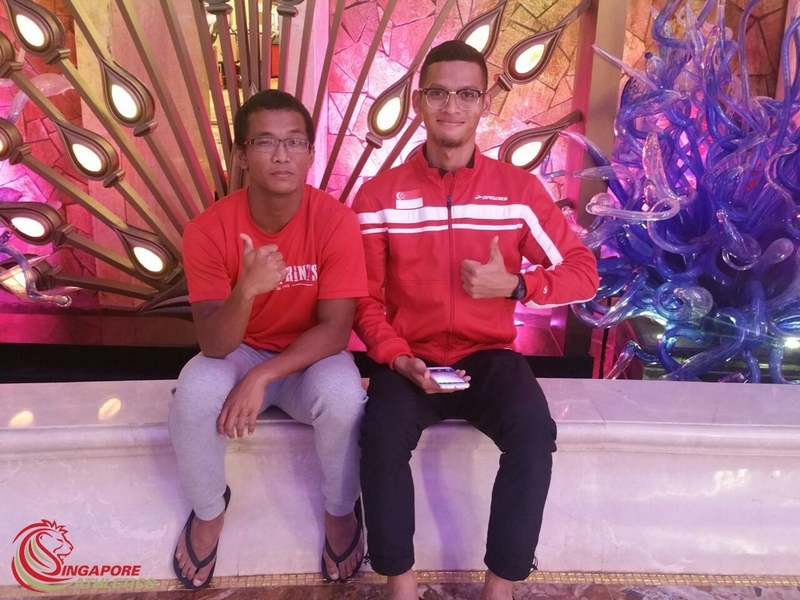 I have been consistently training to improve my technique and strength in preparation of the SEA Games. I often doubt myself in times of competition, leading to many disappointing results, both in local and overseas competitions. I have also sustained injuries in my right leg due to my poor high jump technique. Before Secondary School, I was not interested in Track and Field. 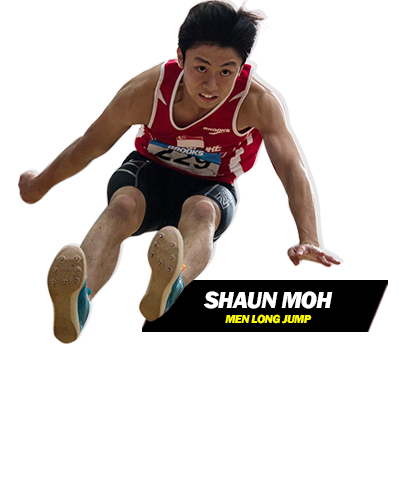 However, I stumbled upon High Jump during Track and Field Trials held in Secondary 1, and naturally fell in love with the sport. I did not have a talent in sprinting, nor was I fit enough to do long distance running. Hence, High Jump felt like the most suitable sport for me. When I do High Jump, I am filled with an indescribable sense of satisfaction every time I clear a certain height. At the same time, High Jump also provides me with a form of reprieve from the stress of school life, because my coaches and friends are kind and supportive. My current coach is Ms Chan See Huey. She is very supportive and kind, and is always there to help me achieve greater heights. I have not been the easiest person to coach, so I am deeply grateful for her patience and dedication to me and the sport. 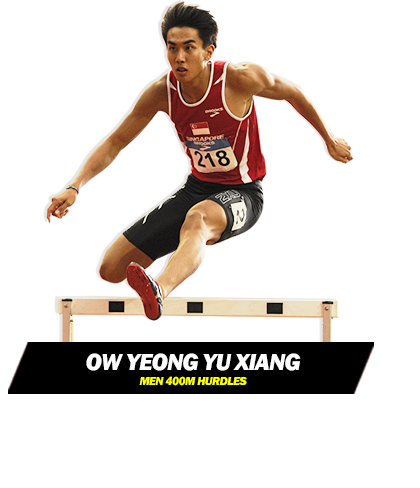 My previous coach was Mr Woon Ta Wei, former Record Holder for the National B Division High Jump Men’s Finals. I do not make sustained efforts to watch my nutrition or diet, but I do remind myself not to consume unnecessary junk food such as McDonalds. I don’t usually take supplements. Other than athletics, I am also interested in basketball. When I am not training for competitions, I usually play basketball on a daily basis for exercise, and because I love the sport. I ensure that I am home before 8 pm every day so that I can eat dinner with my family. I also spend my Sundays with my family. As for studies, I sit myself down for a few hours each day to do my homework and study for examinations. I work on my jumps and technique three times a week, and I go for gym trainings once a week. 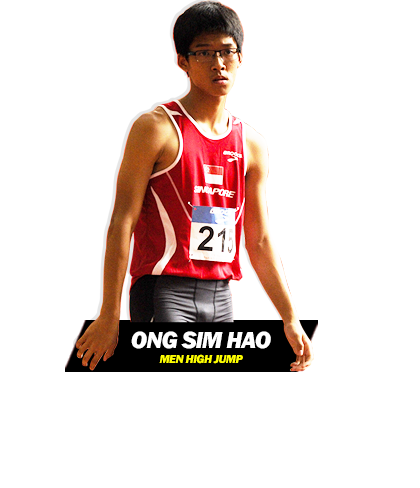 I hope to be able to make a name for myself in my event, and I also hope to become the best High Jumper in Hwa Chong history. I often find myself doubting my capabilities, and this nagging doubt has caused me to miss out on many opportunities in the past. Hence, I feel that aspiring athletes should always have confidence in themselves, because everyone has the capacity to achieve greatness as long as they believe in themselves. World Youth Championships 2007, 4th. Ranked 2nd in the World for youth, 2007. British Under-15 Indoor record holder. Hoping to win a medal, and break my national record. It’s been very good, technical jumps in training have shown some promise. Injuries and support (in terms of sponsorship). Later in my athletics career, my biggest challenge is the battle against myself. Trying to find motivation and confidence. Tried it in primary school, and I instantly liked it. It is a balance of strength and agility. It is a highly technical event, and you could get severely injured or you could jump really far. You will instantly know if you jumped a technically good jump, or a bad one. Feels good when you are “flying” between the hop, step and jump. My currenty technical coach is Femi Akinsanya, he used to coach Phillips Idowu (former World indoor and outdoor champion). 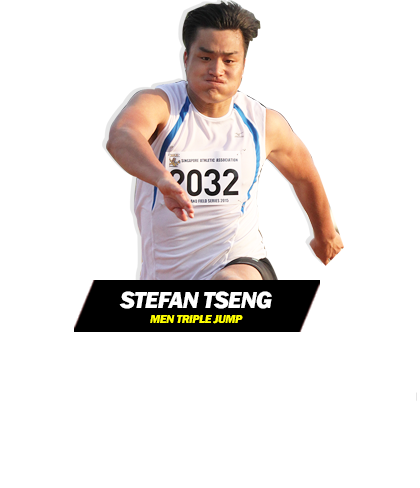 My previous coach is Valeri Obidko, well known in Singapore for jumps. He helped me to break the National Record 6 times. In recent years I’ve been more aware of what I eat and its effects on my body, considering I study human biology. I don’t believe in supplements like protein shakes, because I believe you can get sufficient nutrients from a well-balanced diet. I have never taken protein shakes because I think it is a waste of money, my performance could be improved by training effectively. I enjoy watching and playing football. I always have a fixed timing for training, and I plan everything else around it. During university, I have to plan training around my school timetable. I have 2-3 gym sessions per week, 2 technical sessions per week, and 2 conditioning sessions per week. There are no short cuts to success, you have to train hard and smart to be the best. Be confident but not arrogant. Listen to what your coach tells you, but be aware of why you are doing certain things (don’t blindly follow). 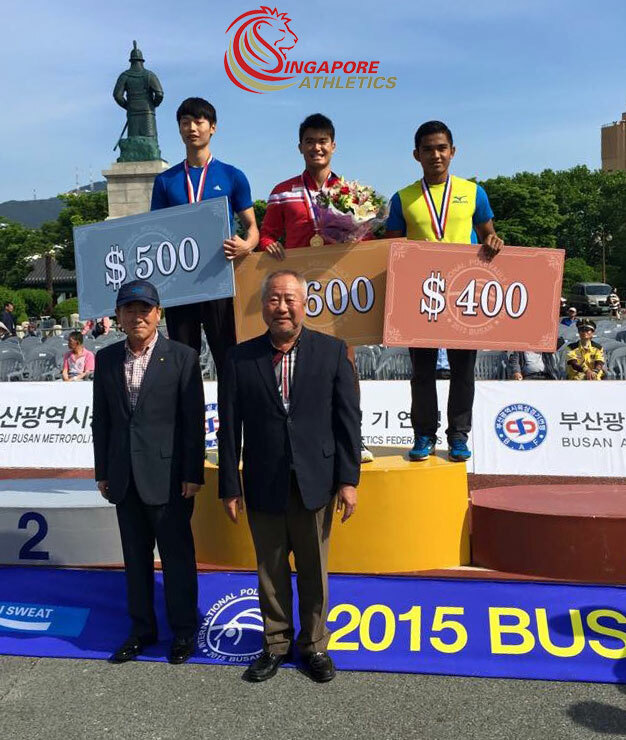 Career Highlight(s): – Gold medallist at National Inter- schools track and field competition from year 2013 to 2015. To get a new personal best. Quite challenging to balance school and trainings but it’s manageable so far. Injuries are okay too with physio. Several injuries sustained throughout my sports career slowed my progress and did challenge my mindset but all’s good. Back in secondary one when we were having trials for a CCA and I was part of the group selected for throws. 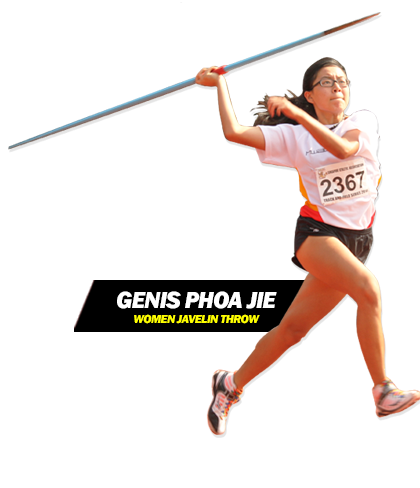 Javelin’s fun cause you get to be able to run, jump and throw. 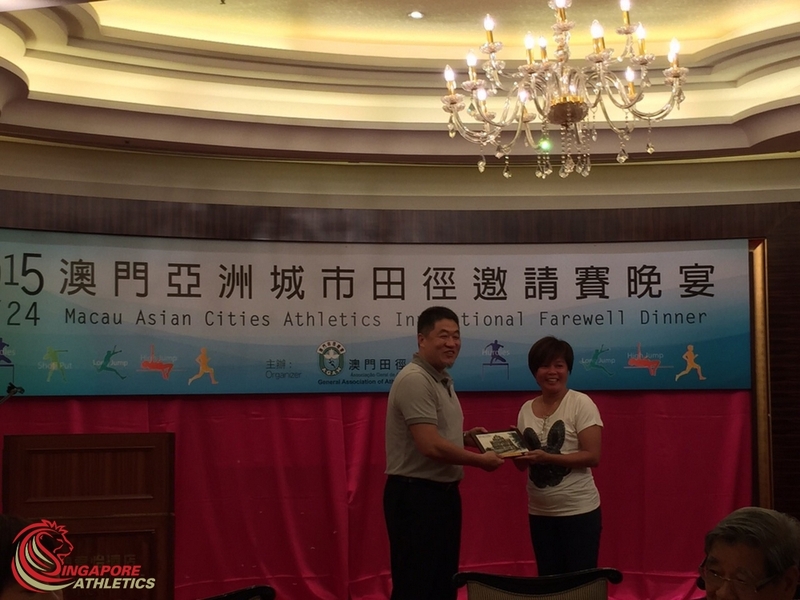 Coach Guo Huai Yun from HCI – he doesn’t speak much but provides concise tips. Mr Ng from Cedar Girls’ who goes all out to prepare and take care of us physically and mentally. Try to eat healthy and everything in moderation. But also good to just eat what you want. Don’t waste spare time. As long as it’s something we really want, it’ll be able to fit in somehow. To improve both physically and mentally. And continue to have the passion for sports. 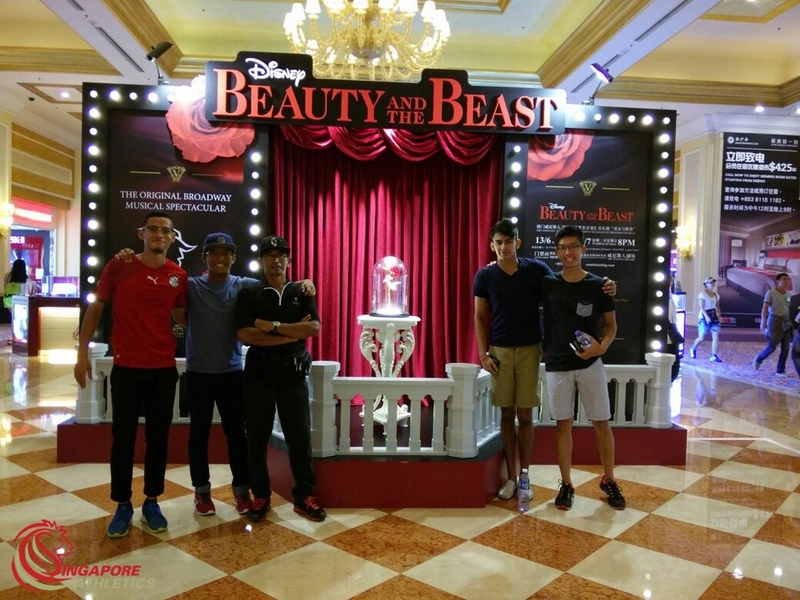 The event saw 1 gold medal haul by Team Singapore. Accurate as of 26th May. 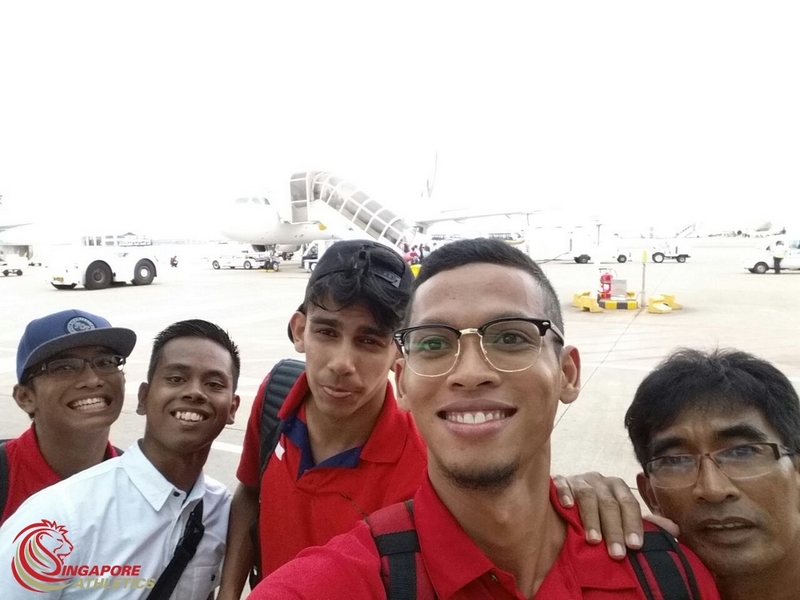 The event saw a 2 gold medal haul by Team Singapore. 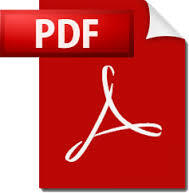 Click on the thumbnail to enlarge the photos. 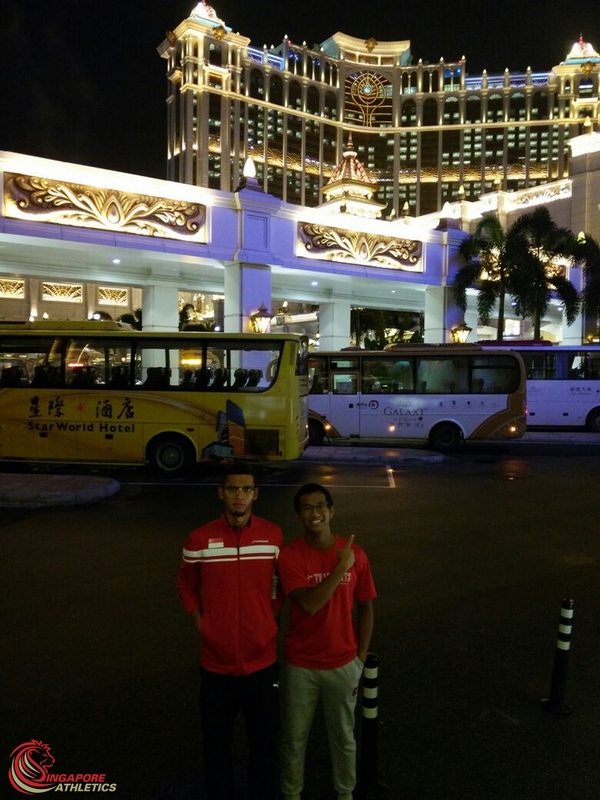 I hope that i can do a 53s for my 400m hurdles, both for myself and my beloved friend Zaki. This was the promise i made with him and i really hope i can honour my words with him back then. Also, the timing is a significant testament that i have done my very best and i will do those who are supporting me (family and friends) proud. My current progress is good, just improving on my hurdling technique and building up my running form. One of the biggest challenges was when i went to OCS during my NS liability. i wanted to continue track back then but the trainings in camp made me very tired that even if i wanted to train after book out, i could not train properly like i used to. And also due to the heavy load we carried during outfields, i gained some muscle mass so when i started training proper, i had a hard time trying to tone down and develop back my running form. Furthermore, as the first few training sessions were focusing more on getting back the speed, i sustained a strain on my hamstring, making it even tougher to get back to what I was before i enlisted. I was first thrown to 400m hurdles just to fill up the spot for the school during Nationals, but as time passed, i grew to love the event and i continued training on it. i guess the attraction would be the momentum you have when you hurdle and run at the same time, and your mind will be preoccupied with the stepping throughout most of the race. My coach is Mr Han Zhong Jian. I have trained with him for 8 years, and he is a very dedicated coach. He will stay throughout the training to pinpoint the mistakes made by me, give advices on running techniques and take videos of my race for analysis. He used to be an athlete himself. I do take note of my diet, like avoiding those soft drinks and fast food. And about supplements, i feel that moderate consumption is necessary to replenish the loss during training and help our body to recover faster. I like to read science and economics books as it always have the interesting element in it that gets me indulged in reading each time. For economics, i get to know better about foreign affairs and the miscellaneous things happening around the world and for science, there are always new updates about technology or research that will get you curious about what new stuff is coming up next. I usually train on weekdays so that my weekends are free for my family and friends. When i was schooling, I will always make it a point to study every night regardless how tired i am from training so that i will not lag behind my classmates. 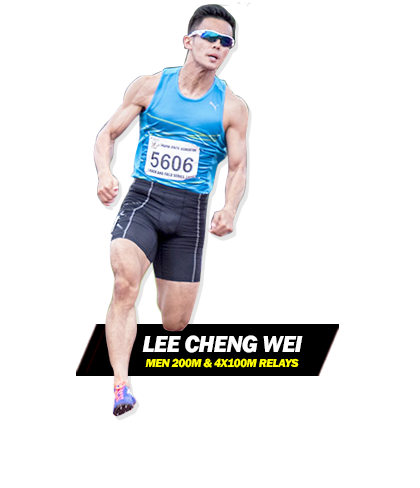 I hope that i can to compete in Asian Games, Asean University Games and World University Games one day as I want to have the experience of running alongside the top runners before I hang my spikes for goods. Training hard is one thing, as the other important thing is belief. On your road to achieving your goals, believe that you can do it, so that others will follow suit. And once you achieve your goals, always remember who helped you during the process and be appreciative. 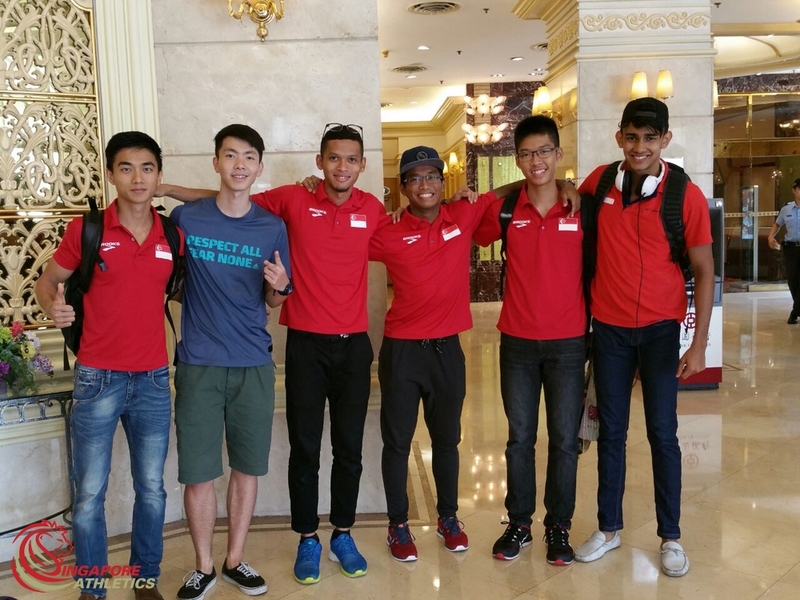 Singapore Athletics would like to invite all those who are eligible to apply for this IAAF CECS Level 1 Lecturer Course to be held from 11 – 16 June 2015 in Brunei. The course will be conducted by Mr. Abdel Malek El-Hebil from the IAAF. Applicants are to send in an email with their RESUME in coaching attached for our consideration via email application to SAA latest by Friday 29 May 2015, 12 noon. Applicants shortlisted by the Association would be interviewed by our Training & Selection panel, chaired by SA Vice-President Training & Selection, before the successful candidate(s) is/are chosen to attend this course.Time and venue of the interview are to be advised once the shortlist is confirmed. 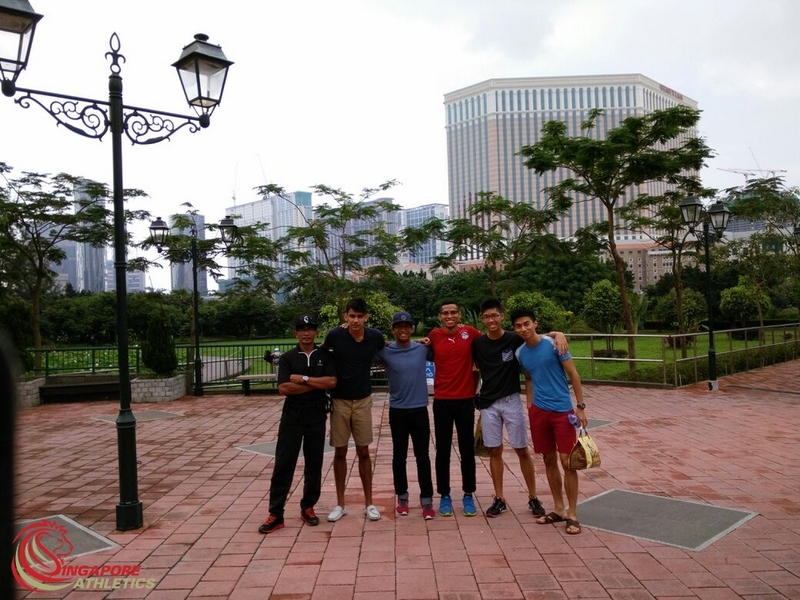 Board and lodging of participants during the course will be covered by the Brunei Amateur Athletic Association at a accommodation site in Brunei Darussalam. Athletics Coaching background and at a minimum must have attended and passed the IAAF Level I Coaches Course. Candidate should be in a good physical condition and should be prepared to participate in the physical and practical aspects of the course. Must be a good-and-active athletics Coach until now. Preferably have education experience as a teacher of skill learning. 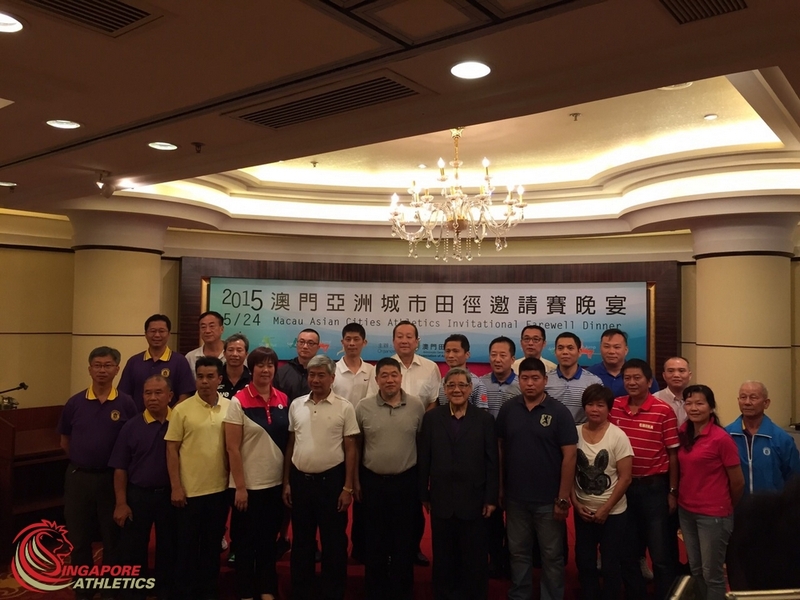 Have good relation and communication with the Athletics Federation. After have successfully passed this Course, he/she must be available to lecture in their respective countries or other countries when required. 2003 National Junior Championships, 1st for 1500m in 4.20, 2nd in 3000m SC, 3rd in 5000m. Hoping for a PB by a large margin from my current PB of 9:59.68. Would love to be hitting below 9:34 which is currently the fastest time since 2001 for a Singaporean. However my target would be a sub 9:45. I’m taking No Pay Leave to go on full throttle. Currently I’m up in Cameron Highlands for a 1 month training stint (Back in May). Thus far, as I will be missing Taiwan Open and Series 4, I have no basis to gauge my current performance. In my athletics career, the biggest challenge was in finding motivation and determination which was lost ever since 2006. I have personally called it off twice, first was in 2009 for 3 months and next was in 2012 for 1.5 years after setting PB for 3000m SC during IVP. Leading to SEA Games, I was still battling that psychological part and worst still, the need to juggle work and training. My pet event was the 1500m all along and 3000m SC was just an event I thought was fun. The fun in clearing the water barrier was the main attraction as to how I first decided to take on steeplechase. 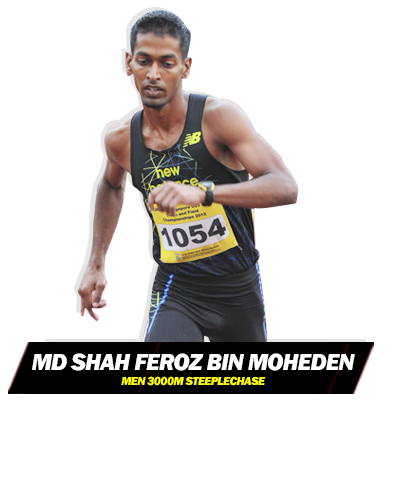 Specialised in 3000m SC ever since after laying off for 1.5 years and after a failed attempt in making a comeback to 1500m. G. Elangovan is my current coach. One who was dominant in all the distance events during his running career, except for 800m, I would say. Before him was James Mayo in 2004 as part of the National Youth Squad. I was under Tan Yew Ling, the woman who inspired me to dream big for 1.5 years since 2001 and then under Jacter Singh till 2003, under whose wings I shined. 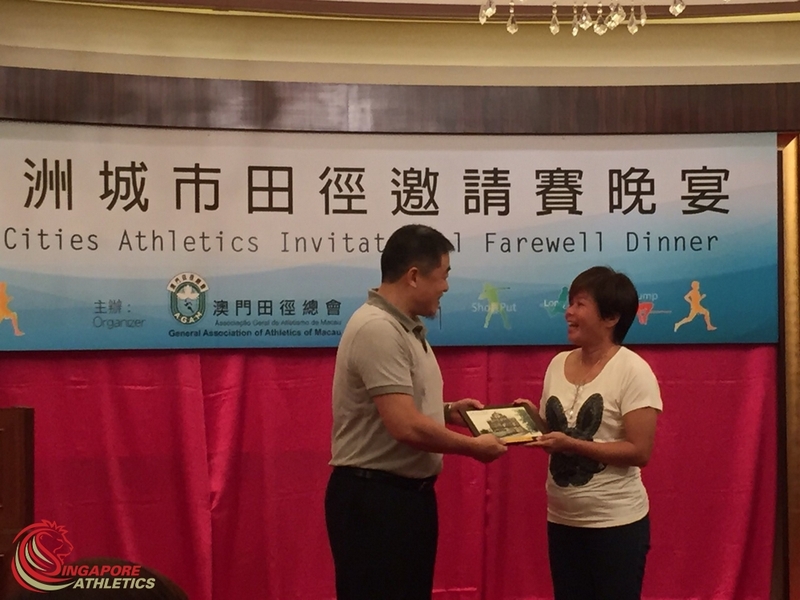 I can’t speak for James Mayo, but for the other 3 coaches, they have indeed left behind a legacy of their own as Singapore representatives in the athletics scene. It was only recently after a health check in 2014 that I became a little wary of what I eat. It is more in particular for health reasons rather than to aid me in training. I’m quite reluctant to take in supplements and would depend solely on recommended food for recovery. Just the thought of wanting my body to function naturally. Football!! Rugby!!! And probably dance!! I have been involved heavily on these during my undergrad years. And I would most likely want to move towards those areas after SEA Games. Alot of sacrifices – on sleep, time spent with family and most of the time not even on weekends and also in bearing the scorching sun between 11am – 3pm, just so that work won’t cause me to miss training, though I have missed a few before due to the pile of work in which I had to stay in office till 9pm. 7-9 times a week during school days and 10-12 times during school holidays, with 3 to 4 workouts per week when we are in competition phase. I guess this is where I stop unless my coach has other plans for me, provided I want to carry on. My athletic goal has been partially achieved and I feel I’m pretty drained from setting anymore goals. The best time for you to train is when you are studying! Be consistent in your training regime, i.e. even throughout exam periods and holidays! How to? Manage your time well with forward planning and be prepared to make sacrifices.